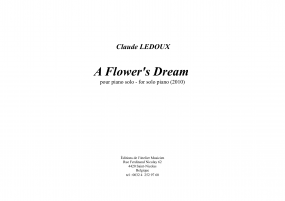 Claude LEDOUX is born in 1960. 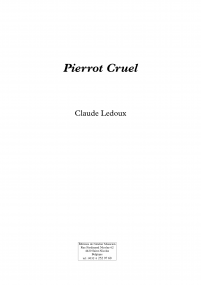 After obtaining a scientific diploma, he turned to the artisitic world and studied painting at the Fine-Arts School and music at the Conservatoire de Liege (Belgium) where he met Jean-Louis ROBERT, a composer and a remarkable pedagogue who helped him to discover the contemporary artistic world. 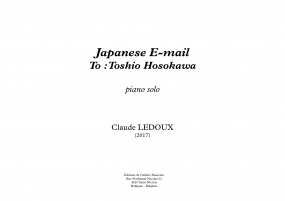 Further important moments on his career were composition courses with Philippe BOESMANS, Frederic RZEWSKI, meeting Henri POUSSEUR, learning music analysis with Celestin DELIEGE and finally, researching in electronic music in the Liege Research Center (CRMW) with Patrick LENFANT. 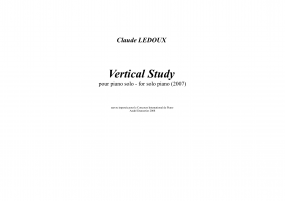 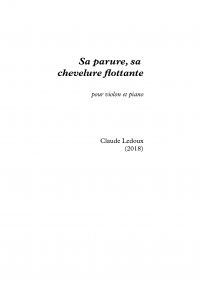 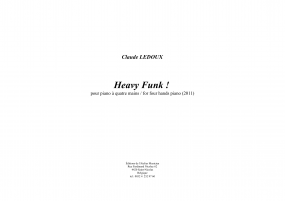 Claude LEDOUX also pursued his education abroad, notably in France, Hungary (Bartok seminar) and Italy where he participated in seminars by Gyorgy LIGETI and Franco DONATONI. 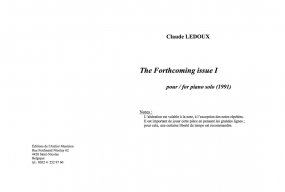 From 1987 to 89 he lived in Paris, where he followed the courses in musical computing at the IRCAM, XXth century music analysis courses with Robert PIENCIKOWSKI as well as the composition courses by Iannis XENAKIS at the University of Paris. 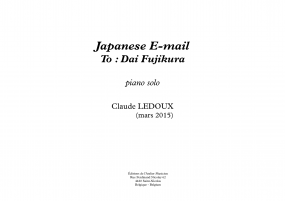 Because of his passion for Asian sounds, he travelled in several eastern countries in order to make researches and to learn the traditionnal art of music. 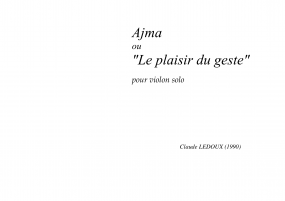 First in 92, through India where he learned ethnic music from the Himalayan sloops to the Rajasthan desert. 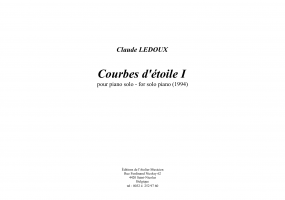 In 1996, he got a grant from the SPES Fondation to pursue his studies about oriental music in Vietnam, Cambodia and Indonesia. 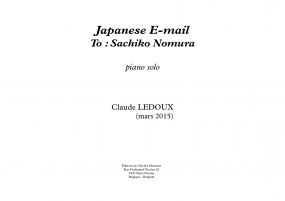 Recently he travelled in Japan (2004) with his wife Nao MOMITANI, where he went deeper into his knowledge of Nô, Bunraku and Kyôgen- read : Travel report/Carnets de voyage (in French). 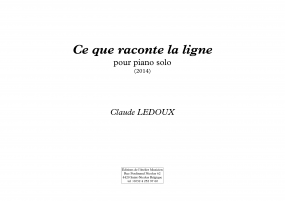 As a composer he won several competitions (Lille, Paris, Lausanne...). 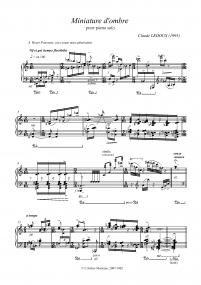 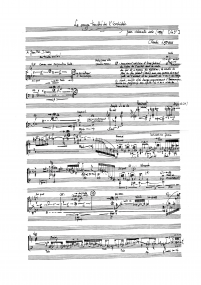 In 2003 he got the « Musical Prize » from the Civitella Ranieri Foudation of New York for his recent works. 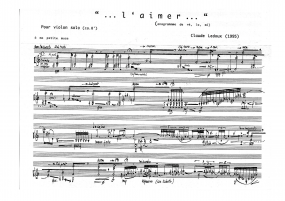 His music have been performed in many towns in Europe (Brussels [Ars Musica], Paris [Radio-France, Présences, L’Itinéraire, Intercontemporain...], Strasbourg [Musica], Berlin [WDR, Philharmonie], Ukraine, Estonia, Russia...), in America (Colorado Orchestra, Symphonic Orchestra of Montreal...) and Asia (Vietnam, Japan). 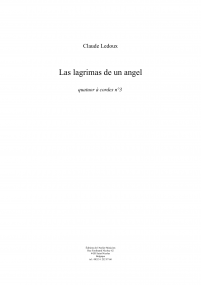 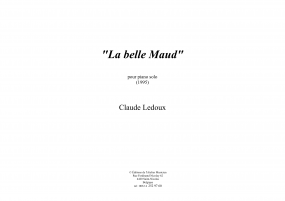 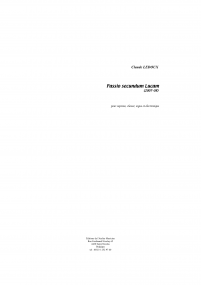 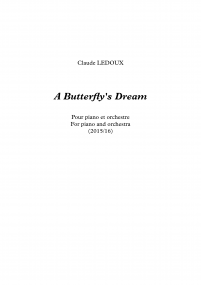 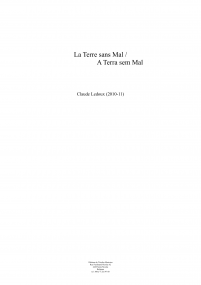 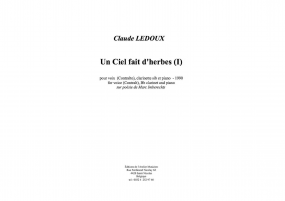 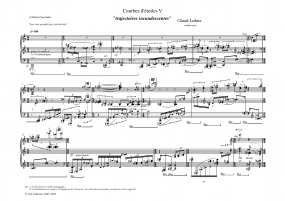 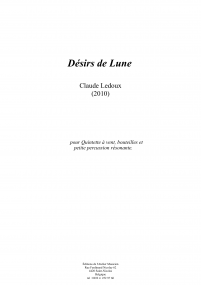 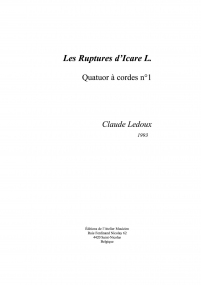 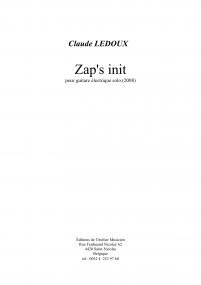 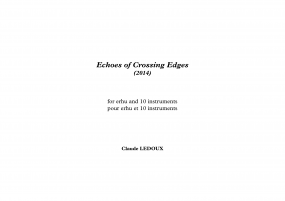 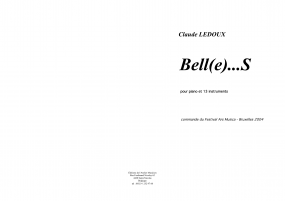 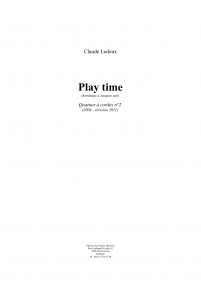 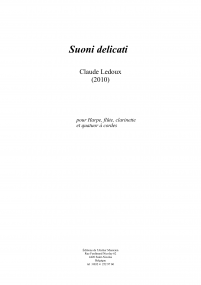 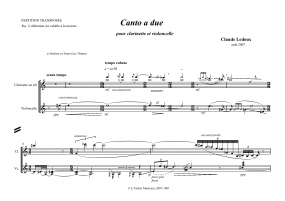 These last years, Claude Ledoux was composer in residence at the Ensemble Musiques Nouvelles (Belgium : 1998-2000), subsequently at the Castello of Umbria (Italy : 2003). 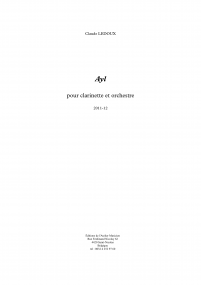 Nowadays, he is composer in residence at the Brussel’s « Bozar » (2008 and 2009). 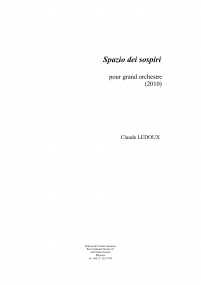 Furthermore, he got a commission in order to compose the compulsory work for the Queen Elisabeth of Belgium Constest 2009 - violin. 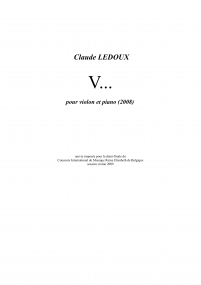 Claude LEDOUX got also a master in Communication/Sciences of the Music from the Liège University. 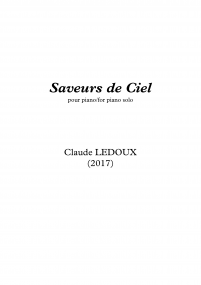 Nowadays, he works as a musical journalist as well as a Musical Analysis professor at the Conservatoire National Supérieur de Musique de Paris (France) and Composition professor at the Ecole Supérieure des Arts, Conservatoire de Mons (Belgium). 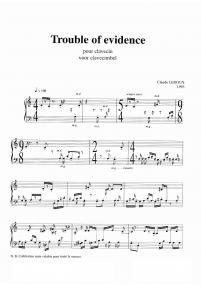 Summer 2008, he was guest professeur at the Sao Paulo and Campinas Universities (Brazil) for the Master in Musical Analysis and composition. 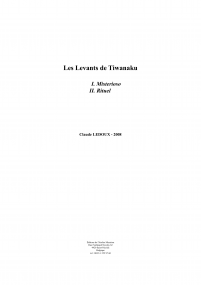 Both universities have since renewed their invitation for summer 2009. 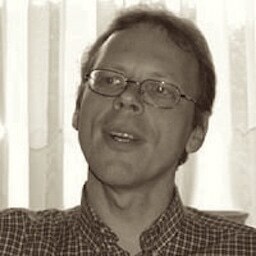 That same period, he will also teach at the Winter courses of Campos do Jordao (Brazil). 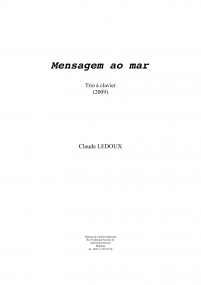 From 2001 to 2005 he worked as Artistic Director of the "Centre de Formations et de Recherches Musicales de Liège" (CRFMW - Belgium). 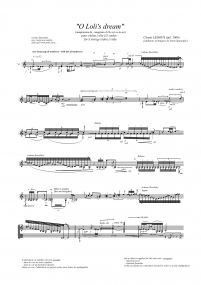 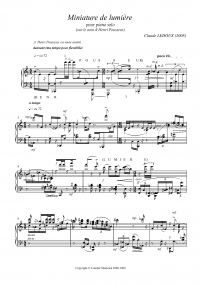 In collaboration with Michel FOURGON and Denis BOSSE, he has set up the "Atelier Musicien", a philosophical and practical place of reflexions and experimentations between composers and performers. 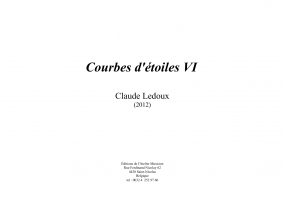 Since january 2005, Claude Ledoux is member of the Belgian Royal Academy, Fine Arts section.